It wasn’t long after the discovery of exo-solar planets that scientists sent up spacecraft to look for them. The Kepler Space Telescope (KST) was NASA’s first planet finder, which has been exceeding expectations since 2009. It likely won’t get to continue on that road, as it is nearing the end of it’s life. At the same time, the Transiting Exoplanet Survey Satellite (TESS) is just starting to open it’s eyes. Today we say goodbye to one great planet hunter and hello to another. KST is part of NASA’s early 2000s spacecraft approvals that saw relatively inexpensive missions pushed forward with the promise of new exploration and short mission duration. After it launched in 2009, Kepler showed us more than just a brand new world, it showed us thousands. Looking at a swath of sky along the Milky Way 20 times the size of the full Moon, Kepler to date has discovered 2,650 planets that have been confirmed by telescopes on the ground, nearly 70% of all known exoplanets. And that’s not counting 2600 more candidate planets that haven’t yet been confirmed. 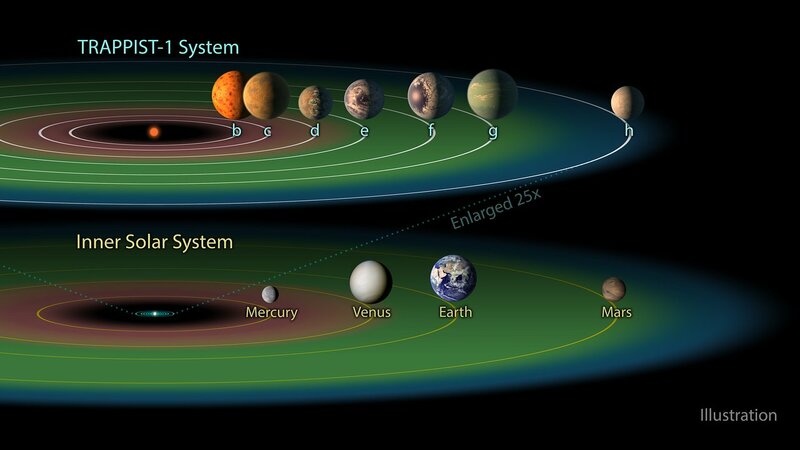 More than that, Kepler has shown us planets smaller than Earth, larger than Jupiter, closer to stars than Mercury, multi-planet systems, potentially habitable worlds, and even the potential of an alien megastructure. Kepler exceeded it’s primary mission by leaps and bounds until May of 2013, when the second of it’s four reaction wheels failed. These are small gyroscopes that allow the spacecraft to reorient itself. In Kepler’s case this meant keeping it aimed in the right spot to continue searching for planets. With only two left, the craft had limited control. But mission engineers proved resourceful as they were able to use the Sun’s gentle push (solar wind) to keep the telescope stable for months at a time, allowing it to continue observing different sections of the sky to search for exoplanets. It became an ingenious way to keep the mission gathering useful science, and the new mission was dubbed ‘K2.’ K2 led to the discovery of the amazing TRAPPIST-1 system, with multiple Earth-sized planets in the habitable zone of their parent star. Unfortunately, in the past few months, the three gallons of Hydrazine fuel that Kepler was sent into space with has shrunk to a tiny amount. On July 6th, 2018, the NASA team responsible for the telescope placed it into a hibernation state to conserve the last of the hydrazine. The remaining fuel is to be used for the craft to point it’s receiver toward Earth, allowing scientists to download the remaining data stored in the craft’s computer, a maneuver that will happen on August 2nd, 2018. After this, it’s not likely that there will be much left for Kepler, and it’s mission will effectively end. On April 16th, a brand new exoplanet hunter launched from Cape Canaveral. 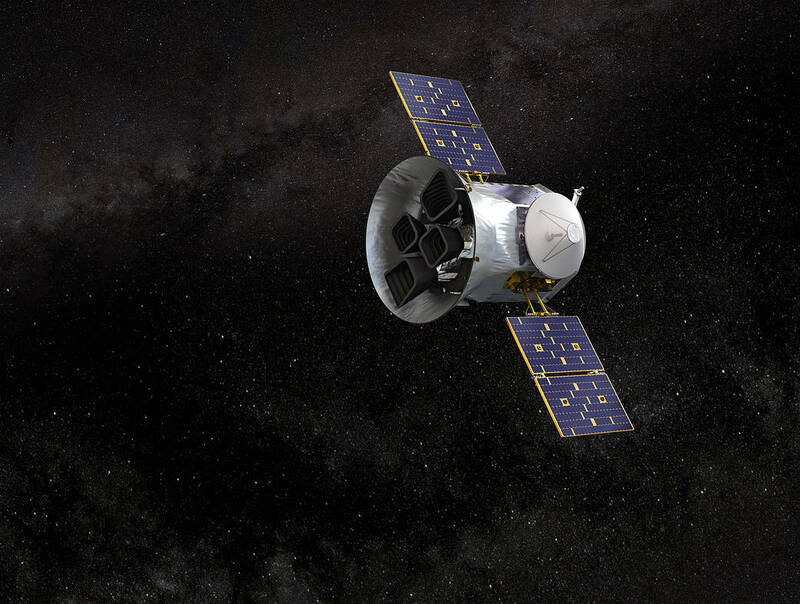 Since it reached its target orbit, TESS has been testing it’s primary instruments in preparation for it’s primary mission: Hunting exoplanets that orbit the closest 200,000 stars to Earth. Like Kepler, TESS will use the transit method to search for exoplanets, using powerful cameras to study the changes in brightness of stars as planets pass in front of them. TESS will observe each section of sky for 27 days to capture planets as they pass in front of their host stars. The sectors TESS will be searching are huge, 24 x 96 degrees, each 1/26th of the entire sky. This is over 9000 times the area covered by the full Moon and 400 times that of the Kepler mission. Most of the stars TESS is looking at will be dozens of times brighter than the Kepler stars, allowing ground-based telescopes to quickly confirm the results. As a fun addition, the TESS team is allowing a wide community of scientists to request additional targets for study as part of its guest investigator program. Although we have to say goodbye to Kepler and it’s marvelous discoveries over the past 9 years, we have a lot to look forward to as TESS takes the torch. Both telescopes have opened the eyes of scientists and the public to a hidden world of planets orbiting distant stars. A world that didn’t exist in human experience until only two decades ago. Although there’s a lot of new data and discovery to look forward to from TESS, Kepler still has data to download, and hidden in that final data package, many new worlds await.